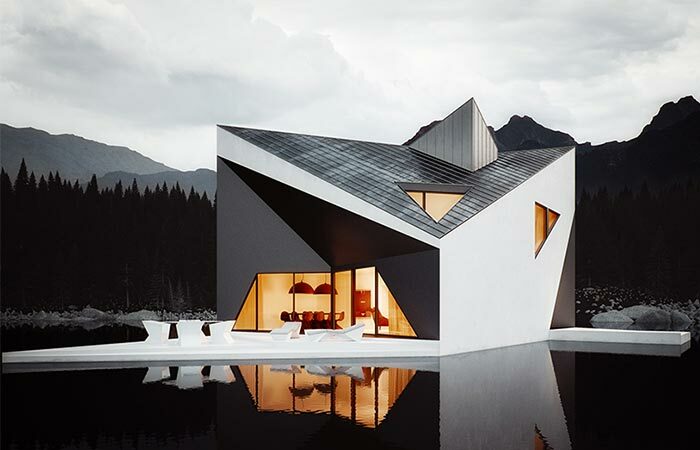 Designed by the Polish architectural firm 81.WAW.PL, Crown House is a minimalistic lake house whose looks follow geometric forms. It was visualized by a 3D artist Michal Nowak with the idea to merge the modern aesthetics with sharp lines and crown-influenced shape. 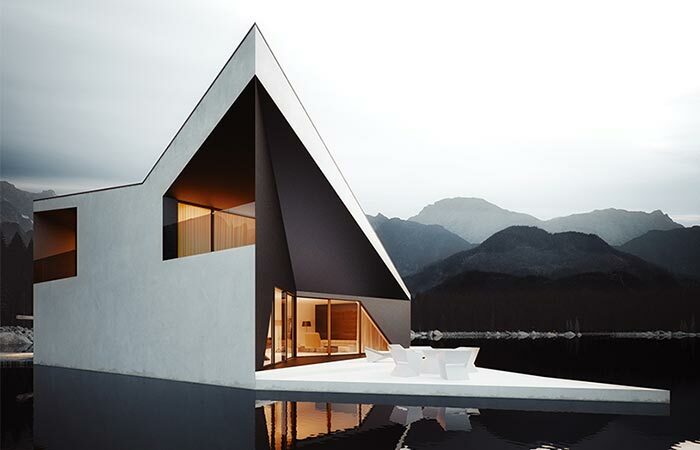 Also providing contrast with the surrounding is the black and white clean exterior that additionally emphasized its location- a lake. 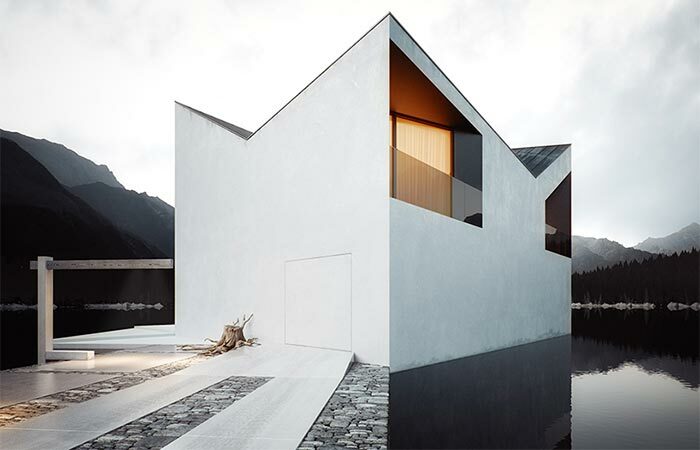 The house features an angular roof and a bottom lake terrace. The terrace extends into the lake and is the focal point of the residence. There’s also a hidden garage door and an illuminated driveway. This project comes from an architectural firm 81.WAW.PL from Poland. 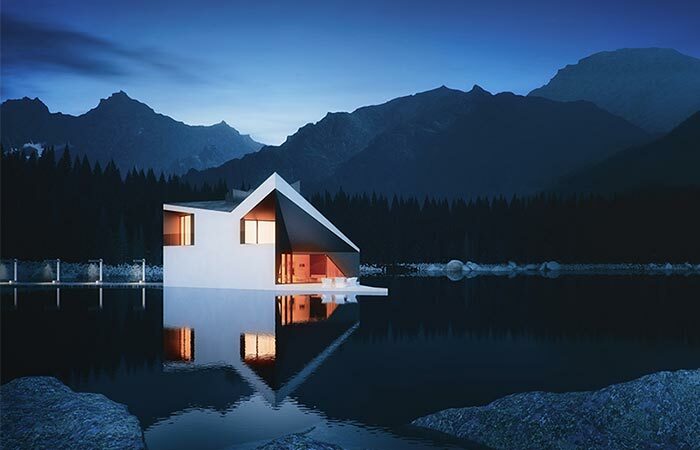 This minimalistic lake house is visualized by 3D artist Michal Nowak. 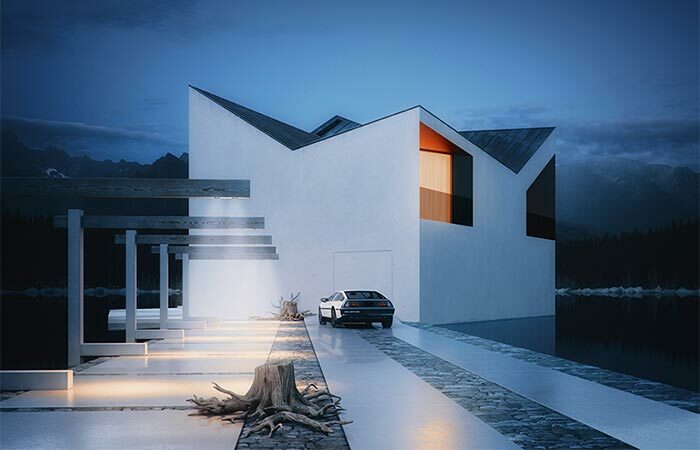 Even though looks can deceive, this is just a concept, the house isn’t really built yet. The driveway leads to the house. This is just another architectural masterpiece that shows us the art of combining natural landscape with an exceptional design. The house is not yet constructed but we must agree the artist did a great job of making it look almost real. It features a white, clean, asymmetrical exterior. Nice addition- a hidden garage door. The terrace extends to the lake and provides a nice place for sitting or enjoying a meal.